There’s nothing worse than cracking your precious Acer laptop screen. The thought of having to replace it can fill many of us with fear, particularly when it comes to the perceived costs involved, but it doesn’t have to be that expensive (or difficult) to find Acer replacement laptop screens to bring your laptop back to life. It can be incredibly cost-effective to find Acer laptop replacement screens and repair your computer yourself. You don’t have to spend a fortune on a new laptop and you don’t have to head to expensive technicians to install new Acer laptop screens, because with the right knowledge you’ll have no problem performing the repairs yourself. You don’t even have to be technically minded – with a few replacement instructions, you’ll be able to install your new Acer replacement laptop screen with the minimum of hassle. By finding Acer laptop screens and doing any repairs needed, you’ll be saving a huge amount of time and money. You won’t have to buy a whole new laptop which means there’s no need to worry about keeping and transferring all of your documents, and unless you need extra help you won’t have to pay a technician to install your Acer laptop LCD screens either. And, because repairing Acer laptop screens can all be over an done with in as little as 30 minutes you won’t be wasting a lot of time, and with the right Acer laptop LCD screens you’ll be left with a fully-functioning laptop that’s as good as new. Looking for Acer laptop LCD screens? Of course, you’re only going to be totally happy with your repair job if you can find the right Acer replacement screens to accommodate. 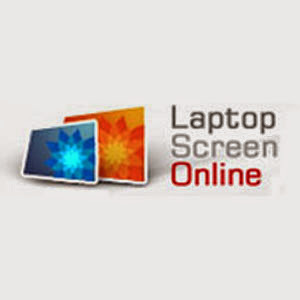 That’s why you need to see what we’ve got to offer here at Laptop Screen Online. When you come to us you’ll be able to find Acer replacement screens to repair any model of Acer laptop necessary, and with all of our Acer laptop LCD screens being competitively priced you won’t be breaking the bank either. But, we don’t stop there. With our in-depth instructions you’ll have no problem installing your new Acer replacement screens in the quickest time possible, easily giving your laptop a new lease of life. You’ll find that it’s incredibly quick and simple to repair Acer laptop LCD screens, but if you need a bit of help we’ll gladly accommodate. We offer a complete repair and replacement service to totally eliminate any hassle on your part, and with our great range of Acer replacement screens you can be confident that our technician will be able to accommodate. Our service is competitively priced and you’ll have your laptop back in no time, with fully-functioning Acer replacement screens to satisfy your needs. So, for Acer replacement laptop screens (or a complete repair service) make sure to come to us today. We’re confident that we’ll have the exact Acer replacement laptop screen that you’re looking for, so check us out and get ready to have your Acer laptop screens repaired and re-installed quickly, easily and cheaply. Thanks for posting the screen replacement video, it was really good. Do you know where you can get other acer repair parts? That would be really helpful.